Lovely and vivid Polar White Bear design. Multifunctional: hat + earmuff + scarf + glove. 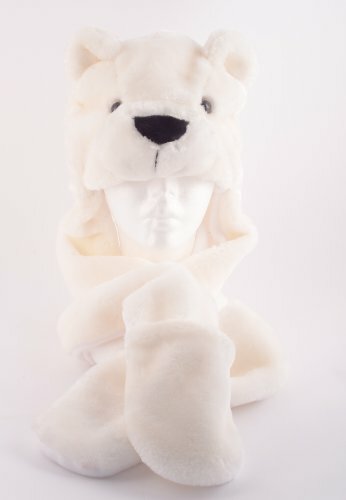 %100 Polyester Protect your head, ears, cheeks, neck, hands from cold. With plush material, it is soft and comfortable to wear. Suitable for both young and old, male and female. High qualiy, non-shedding. It can be used in parties, masquerades, home, streets, schools, etc.